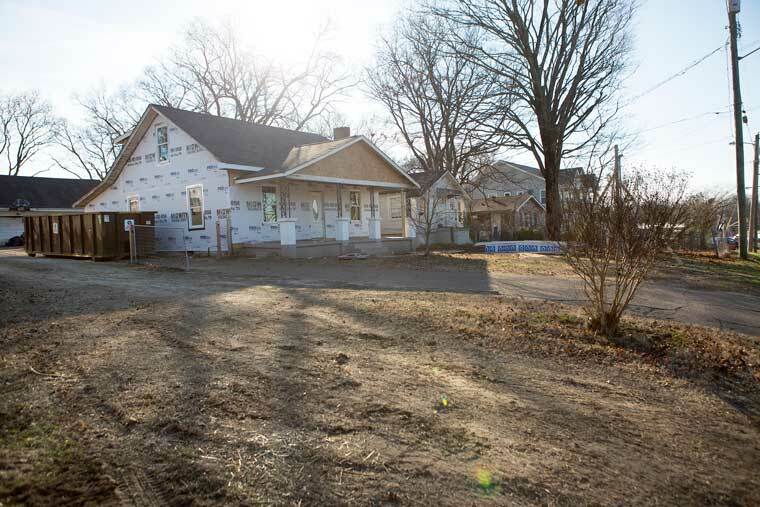 Homes being updated and newer homes on Morton Ave. near Nolensville Pike. Metro Nashville taxpayers may be eligible for help in paying property taxes or for having their property taxes frozen, depending on age, income and other factors. The Metro Trustee administers both the property tax relief and freeze programs. Trustee Charlie Cardwell and State Rep. Harold Love Jr., D-Nashville, spoke at a recent community meeting set up through the Metro Assessor’s office to get out the word on property reappraisals and available assistance taxpayers. Cardwell told the group that his office has set up several community meetings to educate people about the tax assistance in February and March, in advance of an April 5 deadline to apply. The property tax relief program reimburses qualified taxpayers for part of their property taxes. Taxpayers age 65 or older may qualify. Disabled homeowners, along with disabled veteran homeowners and their surviving spouses, may qualify regardless of age. Those older than 65 and disabled nonveterans must be also to meet a $29,180 maximum 2015 annual income requirement for the taxpayer and anyone else on the deed. A spouse’s income is also included, even if the spouse is not on the deed. Disabled veterans have no income requirement. Disability requirements are defined, and there’s a maximum home value on which the tax relief is calculated. Other requirements apply as well. Taxpayers must apply once and requalify every year for tax relief. In the current fiscal year, 6,416 taxpayers received tax relief, according to data from the Trustee’s office. Beginning in 2013, Metro began matching state tax relief dollars on a two-to-one basis, Cardwell stated in an email. For 2016 taxes, due to be paid this month, elderly and disabled taxpayers may be eligible for up to about $610 to $702 in tax relief, depending on whether they live in the general or urban services district. Disabled veterans and their surviving spouses may qualify for up to $2,596 to $2,988 in tax relief, depending on service district. Love also has worked to increase the availability of another program available to Metro taxpayers, the tax freeze. In the current fiscal year, property taxes were frozen for 7,299 taxpayers, according to data from the Trustee’s office. With it, age- and income-eligible taxpayers can freeze their property taxes for their primary residence at the current level. Maximum total 2015 income for those listed on the deed as owning the property is $41,660. A spouse’s income is also included, even if the spouse is not on the deed. Other requirements apply as well. Love introduced state legislation last year to lower the age for qualifying for a freeze from age 65 to 62, when people can begin to receive their Social Security retirement benefits, but the bill didn’t pass. Even if it had, there were other hoops to jump through because changing the age for eligibility required amending the state constitution and that can only be done in years in which the governor is elected. Finally, age- or disability-eligible taxpayers may defer payment of taxes so they can remain in their home. They must also meet income requirements. Six percent simple interest is added to the tax bill each year and the taxes are paid upon sale of the home or the taxpayer’s death. The deadline for applying for deferral was Dec. 31. The Trustee’s office administers this program. FiftyForward, the local advocacy group for people age 50 and up, will be working with support from the Metro Trustee’s office to help people with paperwork to see if they qualify for property tax relief. Care managers from FiftyForward Living at Home can assist those age 65 or older and who own a home in Davidson County in completing their tax-freeze application. Call FiftyForward Living at Home at (615) 743-3416 for assistance and details on what you should bring to the appointment for the assessment. In addition, FiftyForward care managers will be at FiftyForward centers to assist with applications before the April 2017 deadline. An educational session with the Trustee’s office will be held Feb. 22 at FiftyForward Donelson Station.